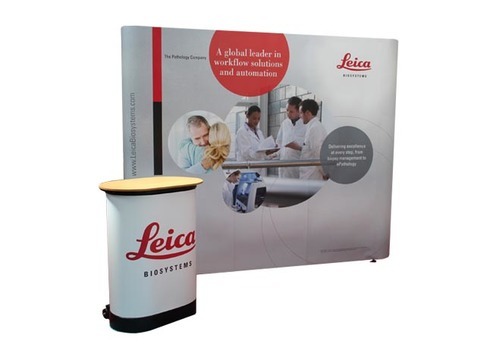 We have a range of pop up display units, available in different sizes. Different displays will require a different artwork layout (if you don't have artwork, we can create this for you, see Design Service for more information). Please ask us for a template if you wish to design the print ready artwork yourself. 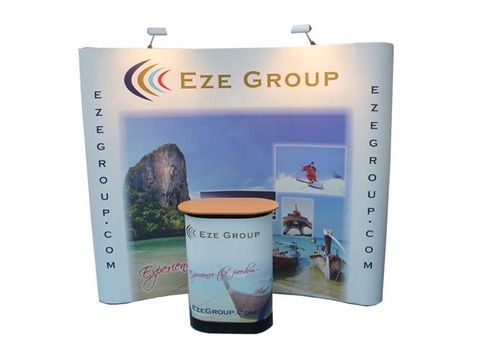 Easy to put up, mobile pop-up display system for exhibitions and events. Watch our Demo to see how easy it is to assemble. 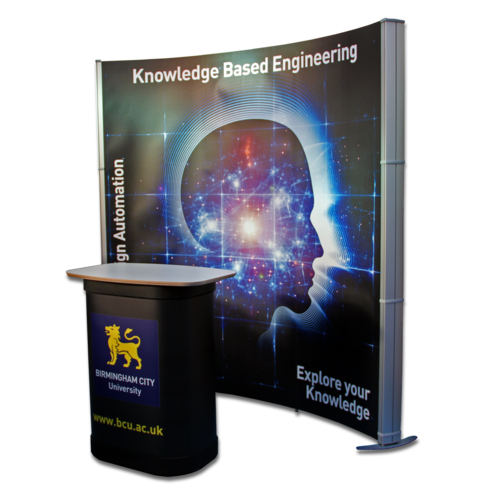 The pop up display system provides a quick and easy presence at any event or exhibition. lights, beech folding top, fabric wrap for case, roll of magnetic tape and durable wheeled case. 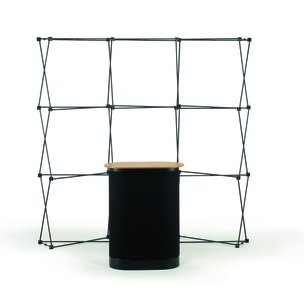 The Vario D400 is the ultimate pop up display unit. Metal construction allows for strength and durability. 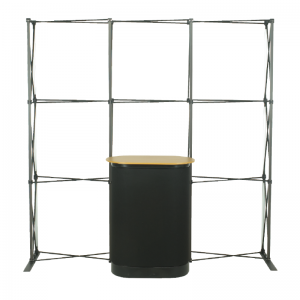 The also bundle includes the slimline frame, adjustable feet, end panels, crystal laminated graphics, 2x 150W Lights, Wheels Transport Case, Graphic Wrap and Beech top for transport case. Note: extra items will be needed to attach further graphics to the back a unit, if you require this.